Sloping silhouettes and blingy nailhead trim dazzle up a drab room without sacrificing space. 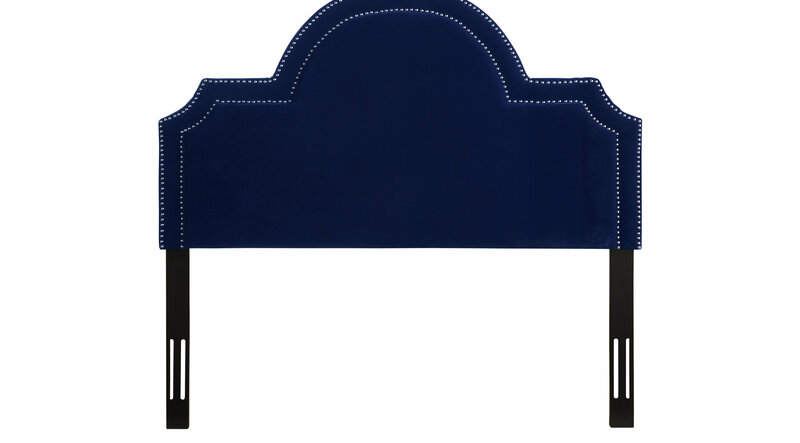 The Louella navy king upholstered headboard packs an unobtrusive punch in any room. Featuring splendid and durable pebbled navy velvet upholstery and nailheads, this chic headboard will bring style to your guest room or master suite.